Each of six d.o.g.s will have its day! Our In Clubs We Dance feature series goes on it’s first international tour and says hello to our beloved neighbours in Greece. Our Athenian friends dance the sole of their sneakers off to six d.o.g.s eclectic programme that includes Helena Hauff’s industrial techno and electro, Andrew Weatherall’s partner in crime Timothy Fairplay, happiness propagator Roman Flügel or non-sleeper Radio Slave amongst many others since years. Local residents as Mr. Statik, BODJ, Lee Burton and more fine crate diggers don’t have to hide behind these renowned names. Apart from this more dance floor focused schedule, six d.o.g.s’s heart beats strongly for Athen’s vibrant alternative music scene and hosts bands on a daily basis. Having such an exposure to music creation, it’s time now to record them and what would be better than launching an eponymous imprint. Enjoy our conversation! Can you explain the concept of six d.o.g.s as an all-day / all-night cultural entertainment centre and how does it differentiate itself from other spots in Athen’s nightlife scene? 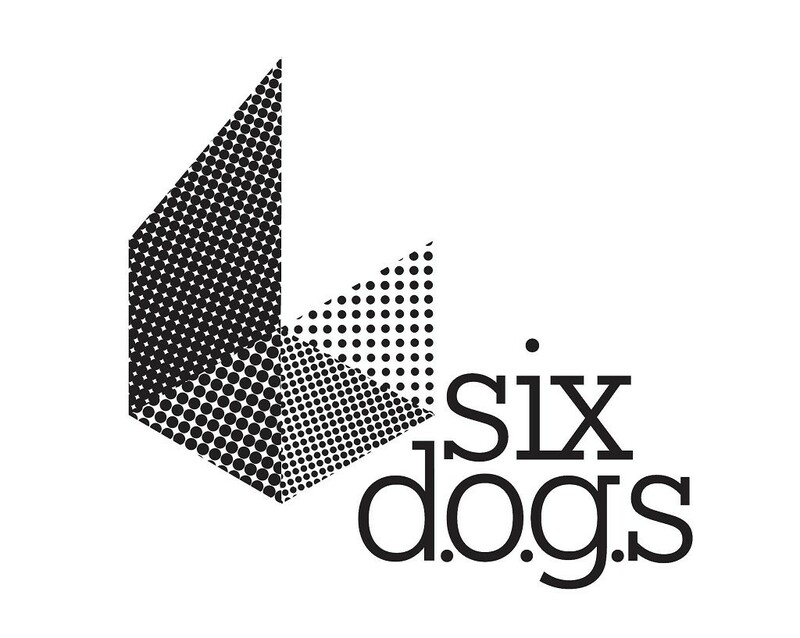 Well, the idea/concept behind six d.o.g.s is rather simple: occupying a derelict building complex in the heart of a diverse and emerging metropolis and turning it organically into a lively cultural space. six d.o.g.s hosts gigs we love, ranging from live bands to DJs, and visual artists to cinematographers. We try to put up fresh stuff and support anything up and coming. We can’t really say if it differentiates from other local venues, I guess this is up for the people to decide. But it seems like that they really appreciate the fact six d.o.g.s is dedicated to its initial aim and tries to fulfil it on a daily basis. How difficult is it to run a club in Athens from an administrative perspective? First of all the questions goes like: ‘how difficult is running a business in Greece, in general?’. There are many obstacles that we have to overcome on a daily basis mainly related to how the bar/club industry is being regulated. Then of course you have to deal with the economic turmoil which definitely affects the spending liberties most Athenians have. The gut of our business itself though, when not affected by external noise, has been sailing pretty smoothly for the past four years. We are blessed with immense support from the local community and our fellow international DJ’s and agencies, so this business end is actually not bumpy at all. What influenced you while designing the club and what sound system do you have installed? It all started pretty raw. When we first opened the club space was just a concrete box with two tiny and filthy JBL home speakers. Every year since then, we have been developing the space to achieve the optimal sound experience. In 2014, we re-modelled the entire skeleton of the club by installing a full surface backbone of sound-absorbing stone wool panels. What we achieved is a perfect studio-like experience which is extremely unique compared to known club standards. The sound is system is procured by NEXO. Can you describe six d.o.g.s music programme? Who are your resident DJs? 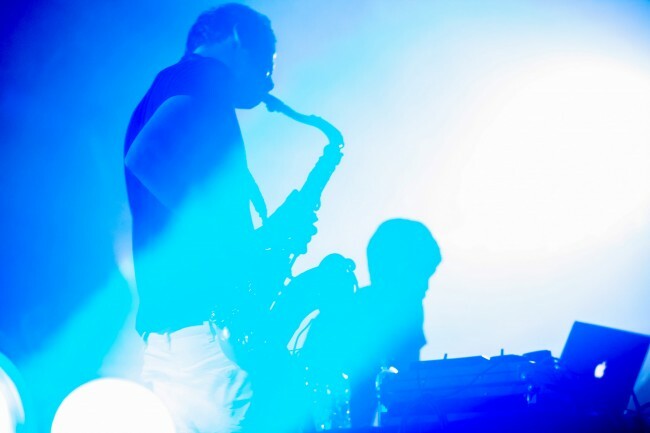 Our schedule is split into two categories: we cover the alternative world with both local and international bands performing at our gig space on an almost daily basis, whereas in the weekends the venue — after these performances — into the clubbing hub that it became over the years with our aimed focus again on both local and international artists. People like Anestie Gomez, BODJ, Chevy, K.atou, Lee Burton, Lostra, Mr. Statik, Pan, Runner are amongst our frequent residents and we’re happy that most of them are crossing the borders more and more frequently these days. What influenced your decision of launching a label? These past five years we’ve submitted ourselves to all kinds of musical inspiration and matured a lot throughout this process, I guess it was time to expand our activities and via this new platform we try to give a voice to the talented artists that surround us, the Greek scene is more vibrant than ever and we feel excited to be a part of it. Can you explain the musical focus of the two different series Gilda and Markos? Do you pursue the same release policy for both, i.e. special editions, vinyl and/or digital release etc.? Well given the duality of our musical direction as a venue it felt right to follow these two paths with equal dedication. Gilda is focused on open-minded/contemporary club music whereas Markos will lean heavily on the alternative side of things. The release policy will vary, depending on the musical content, but yes the main output will be as described above. The first Gilda release was Lemos’ KAYIKÇI EP. Does this release set also the tone for the series’ sound aesthetic? Well the first release has a very strong musical undertone with a reference to the musical late ’40s, ideally the aim of the Gilda series is to put out releases that on the one hand express the artists behind them and on the other transcend ephemeral musical trends and will withstand the test of time. The second release is a collaboration of Lemos together with saxophonist and experimental artist Ilan Manouach under the moniker Glacial. What made you choose just two tracks for the EP? Do you plan to supplement future releases with remixes as well? The Glacial project is leaning heavily on the whole ‘jam’ vibe, the two tracks reflect that to the fullest as an aesthetic and we didn’t feel it necessary to add a third one on the 12” just for the sake of having it there. There will be one more available soon as a free give away, it will serve as a herald of the guys’ return. Remixes-wise now, it is something that we might consider in the future, it really depends on the original material and if having someone reworking it actually contributes to the whole EP or not. What is next for six d.o.g.s? On the release front, we’re putting out Felizol’s ’80s-fused soundtrack to his own (very first Greek vampire) movie ‘Norway’ on the Markos series, whereas Gilda-wise, Anestie Gomez is coming out with a four-tracker that reflects his affection for delicate minimalistic soundscapes. There’s a jam-packed schedule on the gig space that involves loads of guest bands and DJs till the mid of May when we’ll have our annual summer break and reconvene as a group for planning next steps ahead. Glacial’s Entropy EP will be released via six d.o.g.s Records on February 23rd, 2015. © 2015 EDHID. All rights reserved.